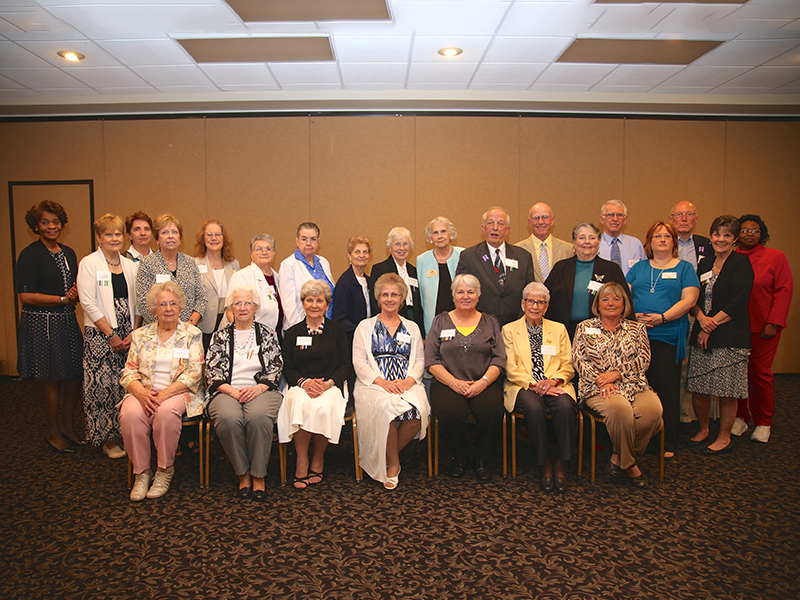 Hospice of Southern Illinois’ volunteers work side-by-side with the professional staff to provide patient and family support. 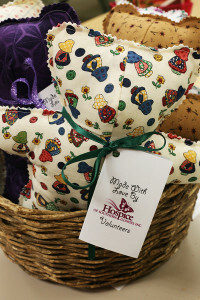 Our volunteer programs are as varied as the needs of the patients and families. 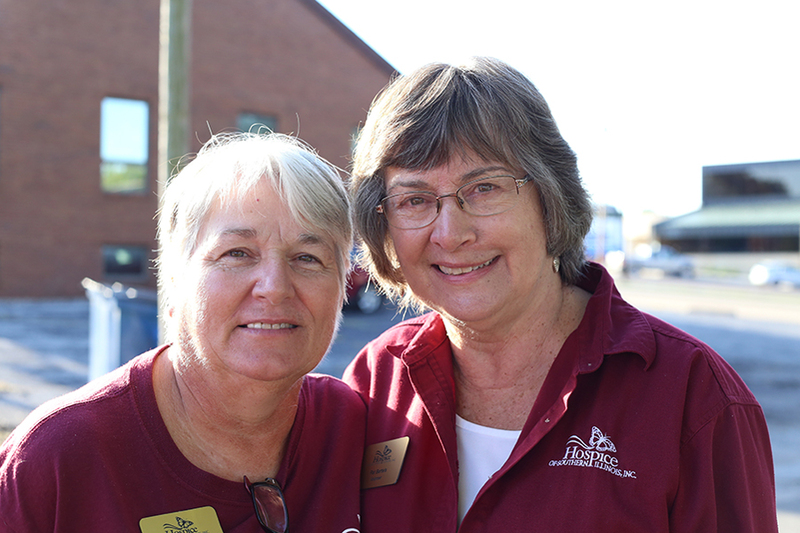 As a friend who pledges to be with them through the uncertainties of the weeks ahead, hospice volunteers offer patients and families a listening ear, a hand to hold, and the presence of a caring heart. 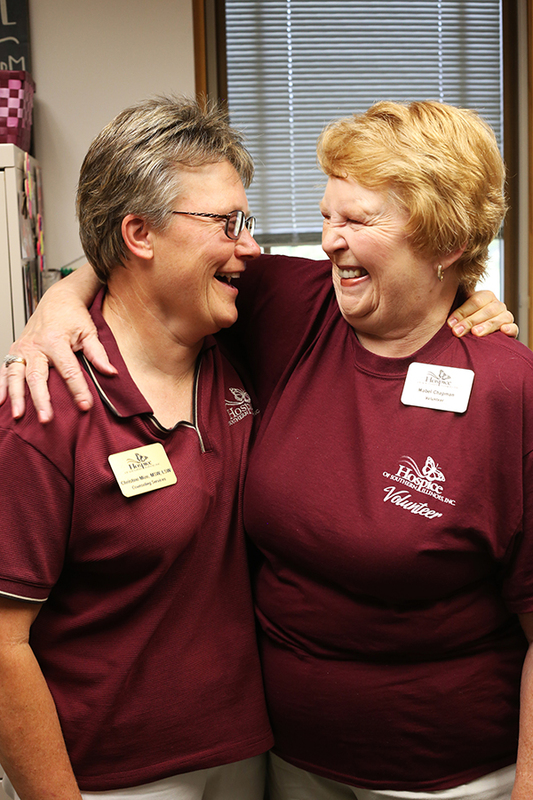 Additionally, our veteran hospice volunteers offer specific veteran-to-veteran support. Volunteers can provide this support at a nursing home, assisted living community, hospital or personal residence and receive specialized training before helping patients and families. Also, volunteers assist administrative staff at health fairs, in parades, and with community education. Volunteer program opportunities are as varied as our volunteers’ time, skills and interests. With so many opportunities for junior volunteers (ages 16-17) and adult volunteers (ages 18+), there is sure to be one that will allow you to use your talents to make a difference in the lives of others – and your own too. Donate your time and become a hospice volunteer. We encourage you to call to register for our upcoming volunteer training sessions. Consider joining the over 300 active volunteers across our 27 county service area. We are certain that you will agree with our current volunteers: they receive much more than they give. Please provide three (3) references from individuals who are not family members. The information I have furnished on this application is true and complete to the best of my knowledge. Hospice of Southern Illinois, Inc. has permission to investigate my background and I release from liability all persons supplying information. 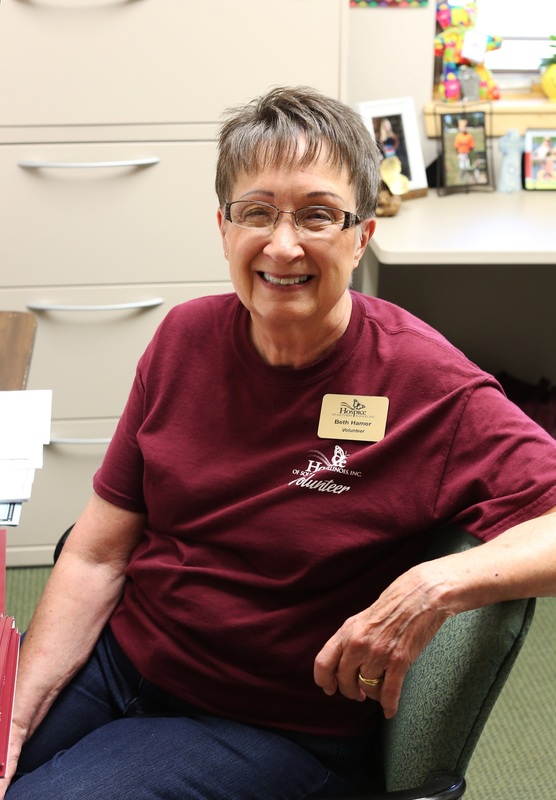 I understand that all work with Hospice of Southern Illinois, Inc. and its patients is of a confidential nature and that all of my volunteer services are performed without compensation. Left-click and hold down on your mouse to sign. NOTE: If you submit the application and don't see a confirmation page it is possible there are errors. These will be highlighted in red and must be fixed in order to submit.